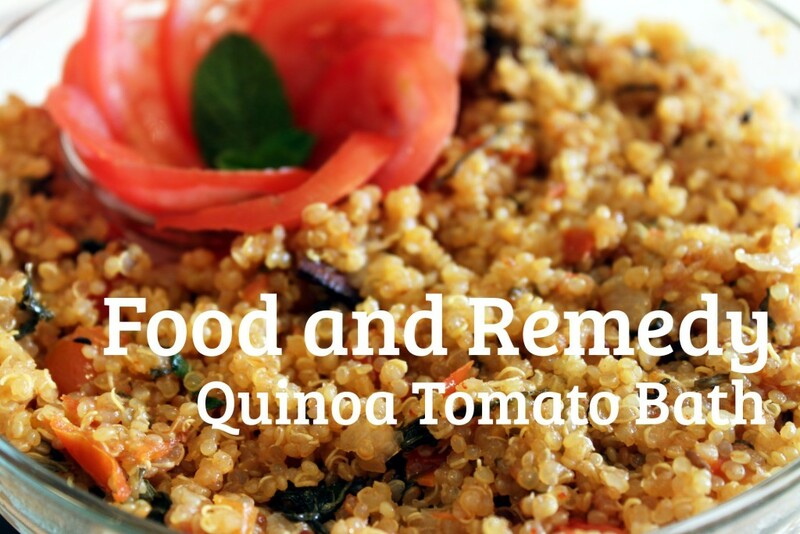 Quick Quinoa Tomato side dish/ Quinoa Tomato bath is a vegan, gluten free nutritious meal. Quinoa tomato side dish has tomato, mint, and quinoa. Also for the aroma and flavor it is prepared along with healthy spices. First heat a cooker pan on medium high heat. Now add all spices: jeera (cumin seeds), cardamom, marati moggu (optional), bay leaves, cloves. Then add onions and mint leaves. Let the onion become tender. Add tomato, chili powder, and water. Let it boil for sometime. Now add quinoa and mix it well. Cover the lid and place the weight on top. After 3 whistles, turn off the heat and let it cool. Once it cools completely, open and mix well. Our spicy, quick, Tomato Quinoa bath is ready to eat. Savor this with Sweet Potato Yogurt or Almond Chutney. Is it possible to substitute the spices in this recipe? Spices listed in the recipe is grouped to provide the right aroma to the dish. But, you can certainly replace the spices listed with Sriracha hot chili sauce (3 TSP) and Tamari sauce (1 TSP) to give oriental touch to the recipe. Is it Gluten Free? Ingredients and preparation are completely gluten free. I have a question about morati moggu. It’s difficult to find in USA, but I finally found some. Out of the container it doesn’t have an odor much at all, and I was wondering if that’s “normal” or if mine was stale. I’ve read it smells/tastes musty, but the one I have is very faint. When you open the container you may not be able to get any strong odor, that is normal. Burt when you use it in the masala powder you will definitely able to notice. 3) did you cook Quinoa on high flame in pressure for 3 whistles? 2.2 cups of water on medium high flame 2 to 3 whistles.